The global market for permanent magnet motor has been growing at the back of the customised needs of various industrial units. Permanent magnet motors offer a wide range of advantages over other kinds of motors which has driven demand for the former across the globe. The permanent magnet motors are manufactured by creating a persistent magnetic field through a magnetized material, and these motors are either ferrimagnetic or ferromagnetic. Permanent magnets are superior to temporary magnets because the former do not lose their magnetic properties unless heated above a certain temperature. Sintering and casting are amongst the most common methods of manufacturing these magnets. The demand within the global market for permanent magnet motors is expected to grow by leaps and bounds due to the growth of multiple industries. Furthermore, the swift manufacturing of permanent magnets has facilitated the production of permanent magnet motors which has in turn fortified the global market. The global market for permanent magnet motors can be segmented based on the following criteria: product, application, and region. Since the market caters to a wide range of industries, it is important to understand each of the aforementioned segments to get a holistic view of the market. The report is an analytic approach towards understanding the growth pattern of the global market for permanent magnet motors. All the industries that are aligned with the market for these motors have been included in the report. 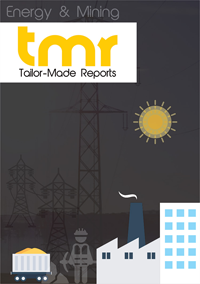 The intent behind elucidating the forces operating in these industries is embedded in giving a multifaceted view to the readers of the report. Furthermore, the market players who have left imprints of their success in the global market for permanent magnet motors have also been mentioned in the report. The automotive industry is a prolific consumer of permanent magnet motors, and hence, the growth of the former has strengthened the global market. The rapid infrastructural changes across several industrial longitudes have also aided the growth of the global market for permanent magnet motors in recent times. The increasing demand for electricity has been pressurizing power houses and electricity boards to efficiently manage and distribute power across households, commercial units, and industries. This has led to the propagation of permanent magnet motors across the world as they consume lesser electricity as against other motors. Wind energy plants have multiplied in number and these plants extensively use permanent magnet motors which also drives demand within the global market. Despite these favourable factors for market growth, the limited availability of raw materials to manufacture permanent magnet motors could hamper market growth. Nevertheless, the inflow of demand from multiple industries is projected to keep offering an impetus to the global market for permanent magnet motors. The electronics and automotive industries across China have exhibited tremendous growth over the past years. This has directly contributed to the growth of the market for permanent magnet motors across Asia Pacific. Contrary to this affluent growth of the market in Asia Pacific, the market in North America is expected to exhibit a sluggish growth rate due to unavailability of rare earth elements in the region. Some of the leading players in the global market for permanent magnet motors are Hitachi Metals Ltd., Adams Magnetic Products Co., Dexter Magnetic Technologies, Arnold Magnetic Technologies, and Electron Energy Corporation.